This is perhaps the most loaded tournament field to date not named the Michigan Dodgeball Cup (MDC). #2 Towson will play host to #1 Grand Valley State and #3 James Madison in one of the last regular season events of the year, appropriately titled the ‘Nationals Send-Off’ tournament. All three teams rank in the top three of the current Gonzalez Standings, and have consistently been at the top of the charts of the content team’s Power Rankings as well. The three schools have a combined 52-6 record this season, with five of those wins/losses coming against each other. Additionally, all of them rank within the top 10 for strength of schedule this year. 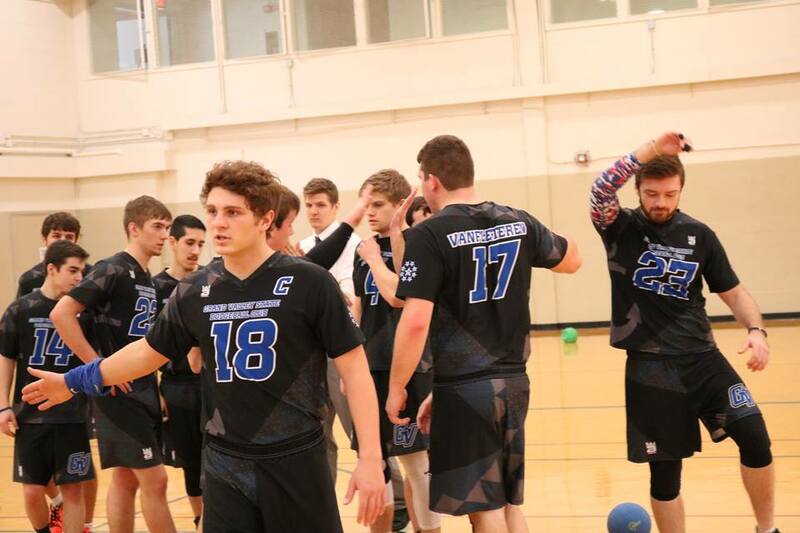 While it would be easy to go on and on about the eye popping numbers each team brings to the table, let’s focus on what has gotten each of these teams to the pinnacle of college dodgeball thus far. National Championship or bust has been this team’s motto since its inception. With 10 out of 14 total championships, and a current six-title streak, the Lakers are looking as strong as they’ve ever been. Grand Valley may be travelling the farthest for this tournament, but don’t expect that to be an excuse. The Lakers currently hold an undefeated record, and signed up for this epic tournament fully understanding the risks. GVSU sits at 19-0 on the year right now, with a 27-game win streak dating back to last season. The Lakers have not played in a tourney since winning the Michigan Dodgeball Cup back in February. That time off may help them, as GVSU always seems to develop the most in the winter semester leading up to Nationals. Don’t be surprised when some of GVSU’s lesser-known young players make a name for themselves at this event. Speaking of names, Grand Valley has more than a few to keep an eye on. 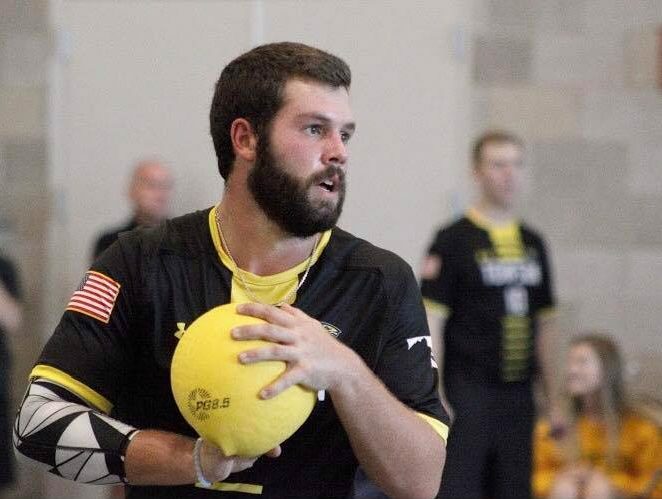 Captain brandon Meisel has been one of the most respected players in the league for years, and will look to finish off his final month as a College Dodgeballer with a perfect record. Same goes for another All-American on their roster: Aaron Krafft. These two players are so well-rounded, that no matter what strategy Towson and JMU try to throw at them, it will be tough to phase them. Ben Smart made himself a household name just under a year ago at Nationals for his outstanding catches. Since then, he has become a much better player who is more involved in playing semi-pro events like Elite Dodgeball. Expect to see him make an impact on both offense and defense for the Lakers. Sam Stockdale is someone who will certainly be an impact player this weekend for GVSU. He was not on the roster for MDC, but remains on of the most talented players on the team. Watch out for Collin Freeman and Nick Hehl as they are two great catchers who will play a big part in GVSU’s ability to stop teams from forcing them to their back line. One other player worth mentioning is Alex Jonauskas. Last time GVSU took on Towson in the regular season, Jonasukas mounted a 1 v 5 comeback in the sudden death overtime period to salvage a win for the Lakers. Towson will surely keep an eye on him this time around. Bottom line for the Lakers, they have all the attributes to come away undefeated from this event. Experience? Yeah, we’ve been over that already. Top end talent? Yep. Not team matches up with GVSU when looking at only the top 2,3,4,5, whatever it is on a team’s roster. Depth? GVSU surely has some future All-Americans on the back half of their roster who nobody knows about yet. But don’t be surprised when the 7-12 on GVSU is more skilled and disciplined than that of either of the other teams. One storyline to follow for the GVSU matches will be regarding close macthups. For all of GVSU’s successes this year, they really haven’t had the chance to play in many close games. In fact, they have only trailed once in the second half of a game all year long (MSU at MDC), and they came back to win the last few points of that game quite decisively. The Lakers have dominated basically every opponent they have faced this year (including one win over JMU in the fall). Being ‘battled-tested’ can certainly be helpful at tournaments of this caliber, but is that going to be a factor for GVSU, or will they simply turn it up a notch when tested, much like they did against MSU at MDC? Don’t be surprised if GVSU packs into their vehicles to head back to Allendale with an undefeated record. This tournament will be a challenge for them, but the Lakers seem destined to reach Nationals on their home floor with an unblemished record. The Towson Tigers have been a pleasant surprise this season, reaching program highs in terms of both ranking and overall record, and they are just three games shy of tying their record number of wins (25) which was set a year prior. During the offseason they saw the departure of many big names including Michael Hinely, Jonathan Soward, and Nick Cerdeira, but it didn’t stop them from making a big early impression on the NCDA. Opening up the season with a 6-1 victory over East Coast rival JMU turned heads immediately. Jordan Watt and David Guare both showcased their talent to propel them early on, and since then we’ve seen big improvements in their supporting cast. Tyler Schmitz has arguably been one of the most underrated players in the league this year, with a strong throw that can match anyone’s speed. He has had opportunities to shine as Towson’s top thrower in the absence of Watt at times, and left some good impressions (and bruises) at WAR III in Akron. Jeff Hayden has also been a star on the opposite end. The kid plays with absolutely zero fear and all the confidence in the world, which is why he is one of the best catchers in the nation. A big key to Towson’s success this year has come from their willingness to travel and also compete even when they are missing top talent. This has provided opportunities for many of their younger members to step up and shine. Hunter Friedman has arguably been Towson’s strongest freshman this season. While he certainly hasn’t been the focal point, Friedman’s presence provides a good balance for the team with solid arm strength, catching ability, and athleticism. As mentioned before, this team’s willingness to travel has been instrumental in their success. While going 14-1 against the East Coast, the team is also 6-0 against teams from Ohio, and also picked up wins against highly rated Central Michigan (CMU) and Saginaw Valley State (SVSU). One of the main criticisms against Towson this season has been the use of “wall ball” in order to maintain ball control and beat opponents. While it’s hard to deny their strategy and impact on the game, Towson has done a great job at pinning opponents to their baseline and controlling neutral zone space in order to put pressure on opponents. With a bevy of arms at their disposal, they can plug anyone in or have anyone step up to throw and they will be confident in getting a kill. The one major opponent Towson has yet to face this year is GVSU, which plays into the excitement of this event. Historically, GVSU has dominated this matchup with a perfect 6-0 record while also outscoring Towson 22-6 in those games. One of GVSU’s biggest strengths is being able to run opponents down and get kills in the neutral zone, while also maintaining ball control. For Towson to pick up their first victory against GVSU, it will be important for them to not let the Lakers get a head of steam, and continue to pin opponents to the back line. Towson has the talent to stay in the game with GVSU, but GVSU’s history and winning formula will be difficult to overcome. The Dukes of JMU have perhaps been unfairly overlooked at times this season. Outside of teams at this tournament, they are 11-0 against all other opponents. 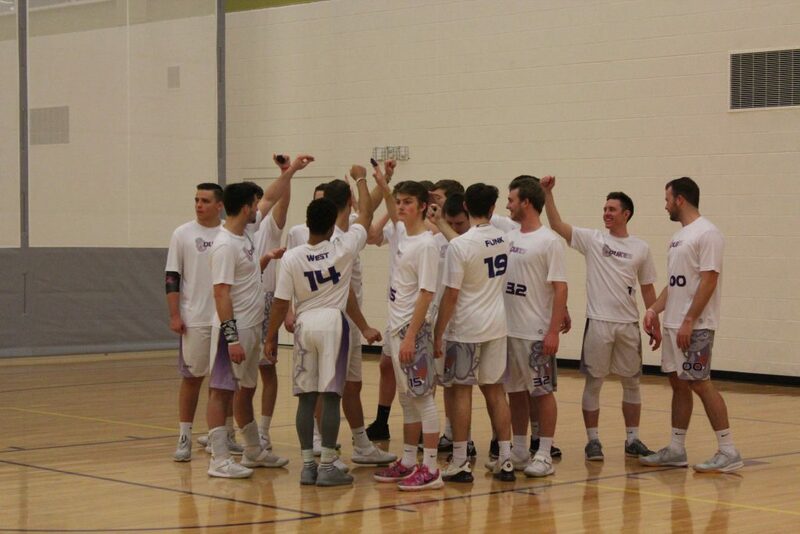 At the ‘Grand Valley Gauntlet VI’, JMU went 3-1, picking up decisive victories over Michigan State (MSU), CMU, and SVSU, all of which they won by more than two points. While they’ve had their struggles against Towson this season, they were still able to pick up a win against the Tigers back in December, and have been competitive with them outside of their very first match of the year. The history of JMU’s program has always centered around fantastic arm talent. Guys like Brent Gromer, Tanner Weaver, and Doug Schilling come to mind, and not much has changed there. Garrett McGurl and Evan Eschenburg certainly get the most respect from opponents for their abilities, and rightfully so. Jonathan Smith has flown a bit under the radar this season compared to last in terms of coverage, but make no mistake, he is still one of, if not, the most talented player on a talented team. Shawn Donahue is another player who, despite the lack of media attention, has been a consistent presence for the Dukes. The lefty has displayed both arm strength and precision at times this year, which makes him one of the best offensive players for his team. I would also like to mention Jason Souder for his contributions. Souder is arguably the best catcher on this team, and played a big role in helping JMU defeat Towson earlier this year. For perhaps the first time ever, JMU comes into a tournament as the underdogs. While they certainly have the talent to compete with anyone, strategy and game planning has always been second fiddle to just flat out loading the court with talent. This has worked for them in the past where they can just show up and (expletive) teams as they put it themselves, but against two squads who carry just as much talent, that won’t be enough. To get the winning edge this weekend, JMU will need to utilize their athleticism more so than ever. It starts with winning the opening rush. This team can and will thrive when they have the ability to dictate the pace of the match. In their one victory over Towson this year, they did this by mowing Towson down in the neutral zone and turning the match into a shootout. It’s how they practice and plays a part into why they are so good at it.